A year ago, I "Faded to Black" in a Pastoral Report essay. Attending a few meetings this year of a Denver CPSP Chapter has since rekindled those ashes. The chapter's first meeting, to which I had been invited on account of the essay, seemed usual: check-in, business, candidate bio. The second included an e-talk with CPSP leadership on procedures, and a frank discussion. The last meeting of 2018, a breakfast, turned out to be the fire-stick, a spirit of early training days, a ministering. A hospice chaplain who had been on call arrived almost at the end of the meal. Her body language said, "rushed, disquieted." She spoke of a funeral that just attended in what I understood to be disturbing family dynamics not unlike those chaplains witness and my own family recently experienced after the death of a loved one. I heard from the Chapter only words of comfort and support, not only for this chaplain but indirectly for myself. Until that moment I had been asking others and myself, "What am I even doing here at these meetings?" The others replied that I had been invited, a great line from " Close Encounters of the Third Kind. " 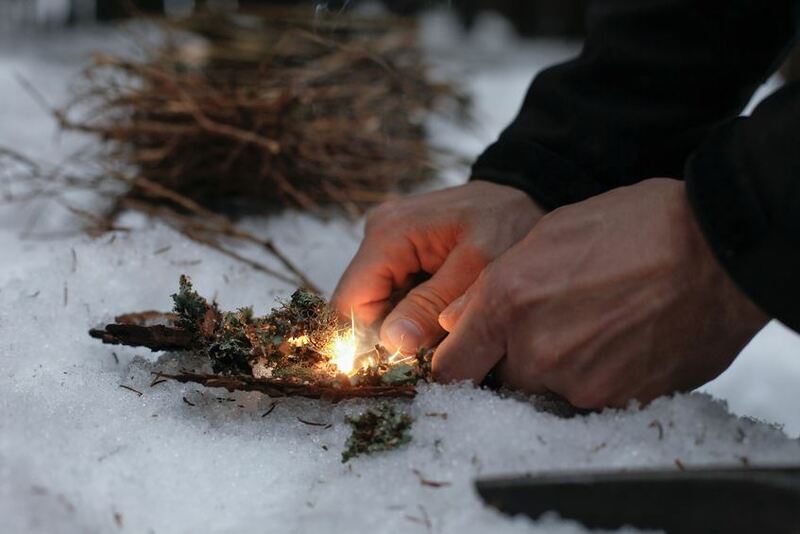 My tentative answer now is that I am warmed, during this season of wonder, by their kindness. 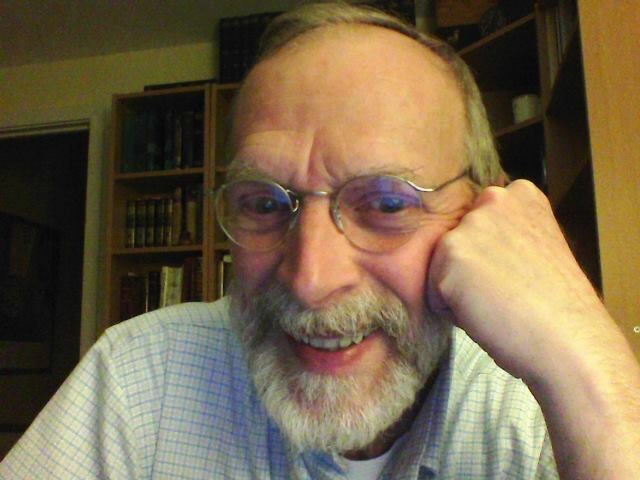 Dom is a retired Clinical Chaplain who lives in Littleton, Colorado. He can be reached at domenic.fuccillo@gmail.com. The continuing ill treatment of immigrants seeking refuge in our country is not congruent with who we are as a nation. We call on all citizens to protest the actions of our current government that continue to disrespect and abuse immigrants as a class. The death last week of a dehydrated child in custody after extended neglect by governmental authorities was an unconscionable, notorious and inhumane act that every decent citizen must forcefully protest. Such deeds betray the basic ideals that brought forth this nation more than two centuries ago. Many if not most of those seeking asylum are fleeing failed states, just as the Polish, Irish, Italians and others were doing in the 19th century. And we in this country are not entirely innocent of contributing to the decompensation of social order beyond our borders. We must not remain silent in the face of such despicable and inhumane treatment of those desperate for safe harbor. 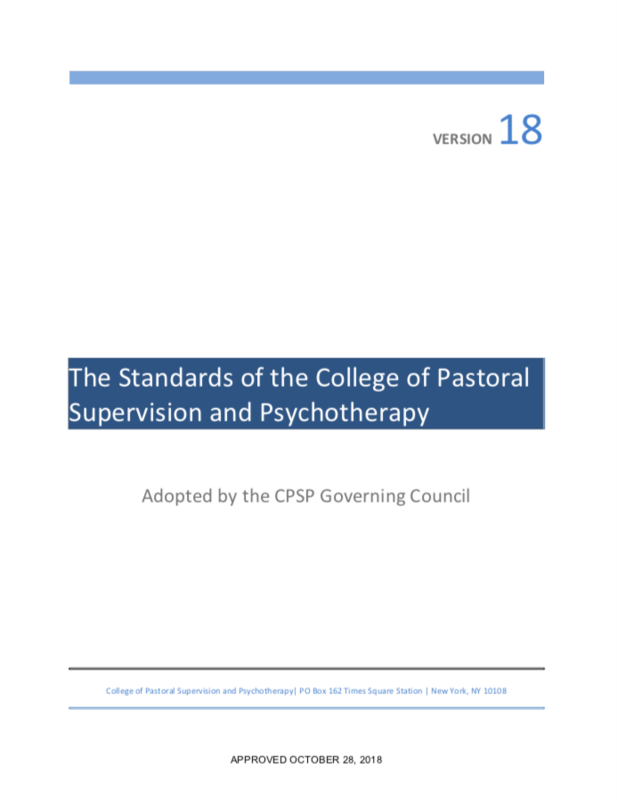 The new (2018) edition of The Standards of the College of Pastoral Supervision and Psychotherapy marks the third stage in the evolution of our basic documents since our adopting Bylaws that set out a new form of CPSP governance in 2014. As we lived into our new organization and roles, growing clarity brought the first committee recommendations for changes to our Standards and procedures. The Certification and Promotion of Chapters Committee led the way by identifying the essential functions of chapters (Chicago Plenary, 2015), thus providing an impetus for revising The Standards to keep up with our actual expectations among one another. The 2016 version built directly on the work that was already well under way by early 2014 (and reported to Plenary in Virginia Beach) in the area of Accreditation Oversight. That version also reflected our awareness of the changing pastoral care environment, resulting in a new certification, pastoral psychotherapist, equipped to offer care a step above the capabilities of the pastoral counselor. The diplomate role, too, was reframed to highlight the supervision of psychotherapy training – also a step up in the level of capability for which we train. In the area of clinical pastoral training, the Standards for supervisory training – for both supervisors-in-training and training supervisor candidates – also saw major updating in 2016. The 2017 Standards began to take shape almost immediately after the 2016 document was released – adapting, in the light of experience, within the existing frame. This year, input from the Certification Committee, resulted in the decision by the Governing Council to combine two certifications – clinical chaplain and pastoral counselor – into one (Oakland Plenary, 2018). Once again, our Standards keep up with our evolving notion of the nature of our work as chaplains/counselors. The experience of re-visioning that one certification invited deeper reflection on the structure of the Standards document itself – and suggested a structure that corresponds to our essential functions. The new organization of the Standards, accordingly, addresses accreditation, training, and certification, in that order, followed by the structure that undergirds them all – the CPSP Chapter. More reflections on – and tips for navigating – the new Standards will be coming soon! The Diplomate complimented General Secretary Raymond's response in the Pastoral Report to that horrific mass murder in Pittsburgh. That piece, which I thought was very good and exceptionally prompt to this event, addressed issues of justice, leadership, and the lack of civility in our current social situation in this country. The Diplomate challenged me personally to reach out to the various leaders of the other pastoral care cognate groups and that we should call a meeting to discuss -- as a unified group within our profession -- our current national situation. Moreover, that this group of our national pastoral care leaders should produce a statement that we reject—openly, publicly and collectively reject—racism, sexism, supremacism, along with some of the very questionable leadership and statements and tweets that we've heard from some of our nation's leaders of late. The Diplomate emphatically argued that we should gather the leadership of CPSP and invite the other cognate groups to come to the table, talk, and reach a mutual statement of such. A few months ago, in late June, you'll recall that the immigration service made the decision they would stop at the border families seeking a better life, a safer life, a real possibility for a future life for themselves and for their families. But things changed this summer. The Administration made the decision not only to stop them, but to separate children—very young children—from their parents. That drastic change was immoral in my mind. I reached out to the various North American pastoral care cognate groups. These are organizations of chaplains and pastoral counselors that I've known over the years and through my COMISS background. I reached out specifically to the leadership of each of these groups and said, "Hey, now's a good time for us to come to the table as cognate groups and make a unified, declarative statement. The border authorities are separating families. There are reports of physical and psychological abuse of these separated little children and young people. The major secular mental health certifying organizations have already made strong statements. This is a time when people of pastoral concern and theological undergirding should stand up and say, ‘No, this ought not to be done!'" You don't separate puppies and kittens from their parents; why on earth should we do this to human beings? So I reached out a few months ago as a Co-president of CPSP sending a mass email to these colleagues and made that plea. I didn't hear from several of them. However, some of them whom I did hear from said, "That's just too political of a statement for us to make. We're afraid we might be offending our constituents." I was profoundly disappointing to me on several levels, but not the least of which is: If people of conscience, if people of theological conviction and pastoral concern will not stand up and speak to such horrible events at our borders, when can we make a stand? When will we say something? Is there any event when we, as a collective discipline, should say something? So it made me proud this morning, when I was reflecting on our colleagues' earlier response(s), that at least CPSP's leadership has taken a stance -- and we're not particularly concerned about who we may or may not offend when the stakes are so profound. You know, regardless of what supremacists are out there, regardless of what racists, sexists, and hate-filled people are living among us whom we might offend (and who might somehow be a part of our constituency), we take a bold stand! We take a courageous stand when the cause or causes are right—humanitarian causes, justice causes. 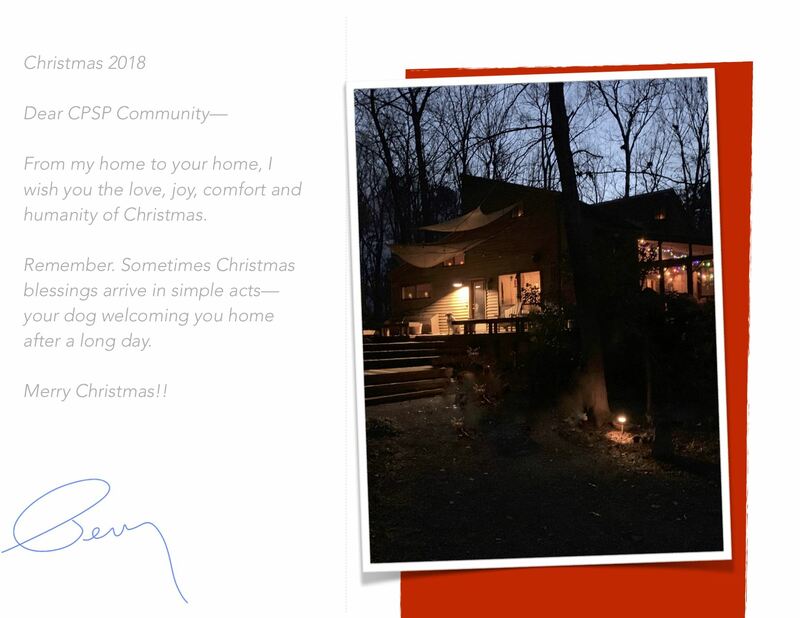 This makes me proud to be a part of CPSP. These are my comments for today. 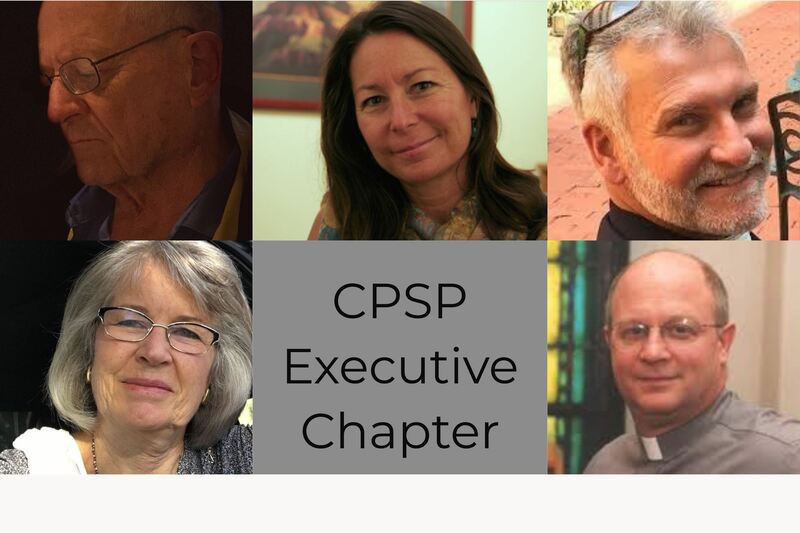 Editor's Note: On October 30th ACPE published a statement representing "associations" representing most of the organizations referred to by David Plummer, CPSP Co-President, in his remarks to the College of Pastoral Supervision and Psychotherapy's Governing Council meeting on October 28, 2018. CPSP was not invited by ACPE to participate in a joint statement regardless of Plummer's request. As associations committed to the spiritual care of people of all faiths and those who have none, we unequivocally denounce the anti-Semitism that fueled the hateful murders of eleven people last Saturday. We honor the sacred spaces and the gift of Shabbat and are horrified by the events at Tree of Life Synagogue. We represent over 10,000 spiritual care givers who are often the first responders when victims and their families come to hospitals, who stay in those hospitals with physicians and staff, who receive them in clinical settings for on-going post-traumatic care, caring for all of the members of our communities well past the moment of crisis. We ask that our political and faith leaders stand with us in rejecting this heinous act and work with us to be about "tikkun olam," the Hebrew expression for the work of healing the world." If the current President has his way tomorrow I fear for the future of our nation, and also of the world. And do everything you can to get your friends to vote! 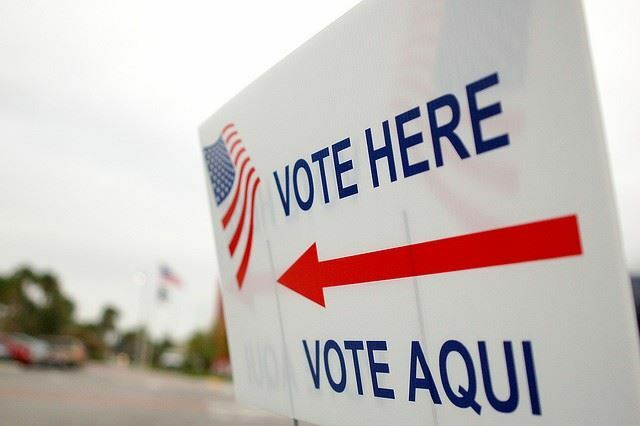 Tomorrow could be the last time your vote will mean anything. The future of the nation is in your hands. The guidelines include tools, resources and practice examples to help with implementation. They expand on the eight domains of palliative care: structure and processes of care, physical aspects of care, psychological and psychiatric aspects of care, social aspects of care, spiritual, religious and existential aspects of care, cultural aspects of care, care of the patient nearing the end of life, and ethical and legal aspects of care. 1. Download the guidelines and spread the word to your colleagues. 2. Review the eight domains with your health care team and/or your organization’s leadership to assess how you can best address the gaps and needs of people living with a serious illness and their caregivers. 3. Identify specific action steps that your organization can implement to provide quality palliative care and focus on the easily attainable goals first. 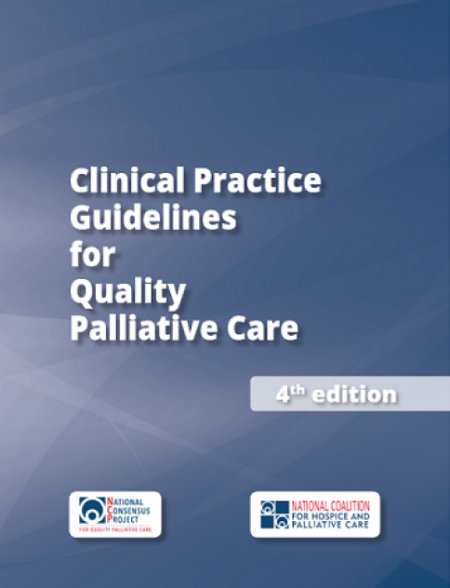 The purpose of the guidelines is to improve access to quality palliative care by fostering consistent standards and continuity of care across settings. College of Pastoral Supervision and Psychotherapy is a supporting organization of the guidelines so please join us in this national effort so that all people living with serious illness and their families will receive the best care possible. Learn more at www.nationalcoalitionhpc.org/ncp and follow us @CoalitionHPC (#NCPGuidelines). The Diplomate complimented General Secretary Raymond’s response in the Pastoral Report to that horrific mass murder in Pittsburgh. That piece, which I thought was very good and especially prompt to this event, addressed issues of justice, leadership, and the lack of civility in our current social situation in this country. The Diplomate challenged me personally to reach out to the various leaders of the other pastoral care cognate groups and that we should call a meeting to discuss -- as a unified group within our profession -- our current national situation. And that this group of our national pastoral care leaders should produce a statement that we reject—openly, publicly and collectively reject—racism, sexism, supremacism, along with some of the very questionable leadership and statements and tweets that we’ve heard from some of our nation’s leaders of late. The Diplomate emphatically argued that we should gather the leadership of CPSP and invite the other cognate groups to come to the table, talk, and reach a mutual statement of such. And that triggered something within me this morning, namely that…. A few months ago, in late June, you’ll recall that the immigration service made the decision they would stop at the border families seeking a better life, a safer life, a real possibility for a future life for themselves and for their families. But things changed this summer. The Administration made the decision not only to stop them, but to separate children—very young children—from their parents. That drastic change was immoral in my mind. I reached out to the various North American pastoral care cognate groups. These are organizations of chaplains and pastoral counselors that I’ve known over the years and through my COMISS background. I reached out specifically to the leadership of each of these groups and said, “Hey, now’s a good time for us to come to the table as cognate groups and make a unified, declarative statement. The border authorities are separating families. There are reports of physical and psychological abuse of these separated little children and young people. The major secular mental health certifying organizations have already made strong statements. This is a time when people of pastoral concern and theological undergirding should stand up and say, ‘No, this ought not be done!’” You don’t separate puppies and kittens from their parents; why on earth should we do this to human beings? So I reached out a few months ago as a Co-president of CPSP sending a mass email to these colleagues and made that plea. I didn’t hear from several of them. But some of them whom I did hear from said, “That’s just too political of a statement for us to make. We’re afraid we might be offending our constituents.” And that was profoundly disappointing to me on several levels, but not the least of which is: If people of conscience, if people of theological conviction and pastoral concern will not stand-up and speak to such horrible events at our own borders, when can we make a stand? When will we say something? Is there any event when we, as a collective discipline, should say something? So it made me proud this morning, when I was reflecting on our colleagues’ earlier response(s), that at least CPSP’s leadership has taken a stance -- and we’re not particularly concerned about who we may or may not offend when the stakes are so profound. You know, regardless of what supremacists are out there, regardless of what racists, sexists, and hate-filled people are living among us whom we might offend (and who might somehow be a part of our constituency), we take a bold stand! We take a courageous stand when the cause or causes are right—humanitarian causes, justice causes. This makes me proud to be a part of CPSP. And those are my comments for today. 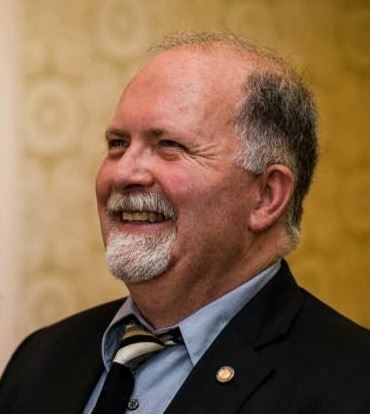 Editor’s Note: On October 30th ACPE published a statement representing “associations” representing most of the organizations referred to by David Plummer, CPSP Co-President, in his remarks to the College of Pastoral Supervision and Psychotherapy’s Governing Council meeting on October 28, 2018. CPSP was not invited by ACPE to participate in a joint statement regardless of Plummer’s request. 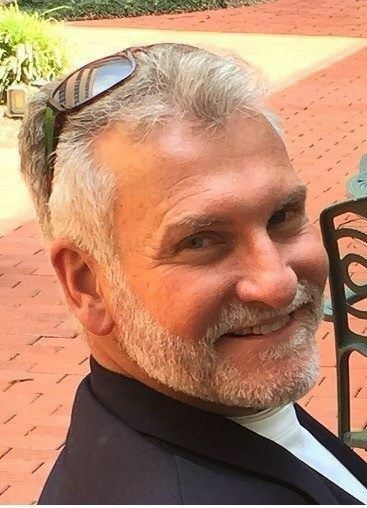 Chaplain Dan Leger, a CPSP Clinical Chaplain at the University of Pittsburgh Medical Center’s Palliative and Supportive Institute, was among the victims of the shooting yesterday at Pittsburgh’s Tree of Life Synagogue. He was hit in the abdomen, has undergone surgery and remains in critical but hopeful condition. Two other CPSP Clinical Chaplains were present in the synagogue at the time of the assault, but were unhurt. They are Rabbi Doris Dyen and Rabbi Jonathan Perlman. The names of the dead are to be released this morning. Our sympathy and solidarity goes out for the families of the dead, the wounded, and all the members of that community. These rabbis are colleagues of Charlie Starr, Director of Chaplains at UPMC Shadyside. We must also be deeply concerned with what this represents for life in this country. The escalating rage against those among us who are different—Jews, Muslims, Hispanics, Middle Easterners, and others—should be deeply troubling to us all. The increasing abuse of the stranger in our midst is a heinous crime inveighed against by all our religious traditions. In the face of this decompensation in American life, we must resist all calls for increasing ownership of guns, particularly those that make killing so efficient. We must also do what we can to fill the void in our political leadership, leadership which is either paralyzed and unable to act, or worse, fanning the flames of hostility toward the stranger among us. We are working on the schedule for this event, so check back here soon for more information. Tues., 26 March - Plenary day #3, with the recognition of our newly certified members, banquet dinner, entertainment and event closing. 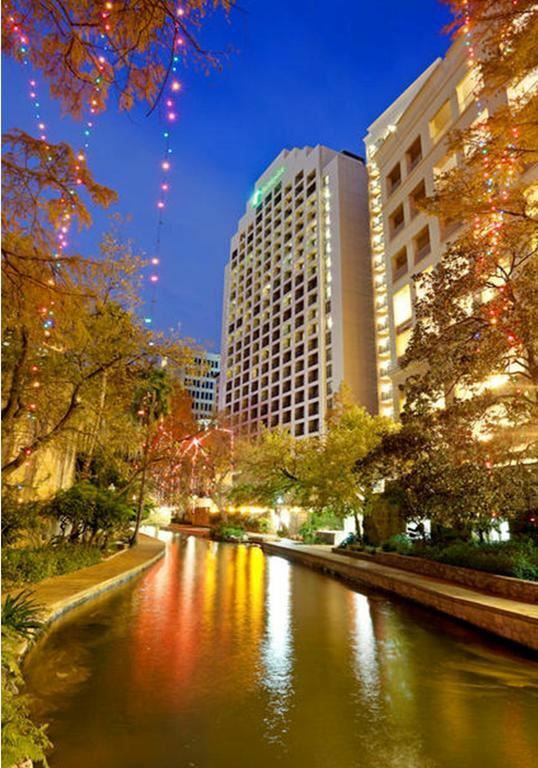 and ask for the "CPSP Plenary 2019 Group"
Nos reuniremos en el Holiday Inn San Antonio Riverwalk. Esperamos compartir la calidez de la hospitalidad de Texas y la riqueza de su cultura. Estamos trabajando en el calendario de este evento, así que vuelva aquí pronto para obtener más información. Martes 26 de Marzo – Plenaria - día # 3, con el reconocimiento de nuestros miembros recién certificados, cena de banquete, entretenimiento y cierre de eventos. 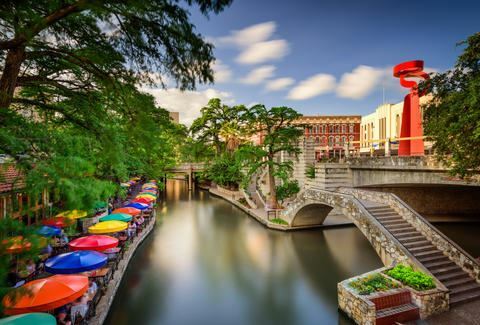 Nos reuniremos en el Holiday Inn San Antonio Riverwalk, ubicado en el corazón del centro de San Antonio, y cerca de las principales atracciones, como El Álamo, Sea World, el Museo de Arte de San Antonio, Six Flags y el Centro AT&T. Los servicios del hotel incluyen WiFi gratis, restaurantes y salones en el lugar, gimnasio, jacuzzi y piscina, así como salas de reuniones, centros de negocios y otras comodidades que harán que su estadía sea maravillosa en este hotel de 4 estrellas. El hotel también cuenta con un cómodo acceso a la línea de autobús local VIA desde el Aeropuerto Internacional de San Antonio, San Antonio Taxi y Uber son algunas de las opciones de transporte terrestre disponibles. Tenemos una tarifa especial para este evento de $ 139 por noche: en tarifa única o tarifa doble. El registro es a las 4 PM y el registro de salida es a las 12 PM. y pregunta por el "Grupo CPSP Plenaria 2019"
o CÓDIGO DE BLOQUE DE GRUPO "XER".